Why choose a joint replacement specialist? Leading London hip surgeon Mr Simon Bridle specialises exclusively in hip and knee replacement surgery. His data shows that he has performed nearly 1000 primary hips, 500 primary knees and over 500 hip and knee revision cases in the last 10 years. He is committed to delivering surgical excellence and unparalleled aftercare and only uses implants with the best results and highest safety record, with a low complication and revision rate. He is frequently referred patients with failed joints and has built a multidisciplinary team to deal with these often difficult problems. Not all joint replacement surgeons carry out revision procedures due to the more challenging nature of the surgery. Hip surgeon Mr Simon Bridle’s specialist training and surgical expertise, along with the clinical experience of his team ensures the best results when treating these complex revision cases. 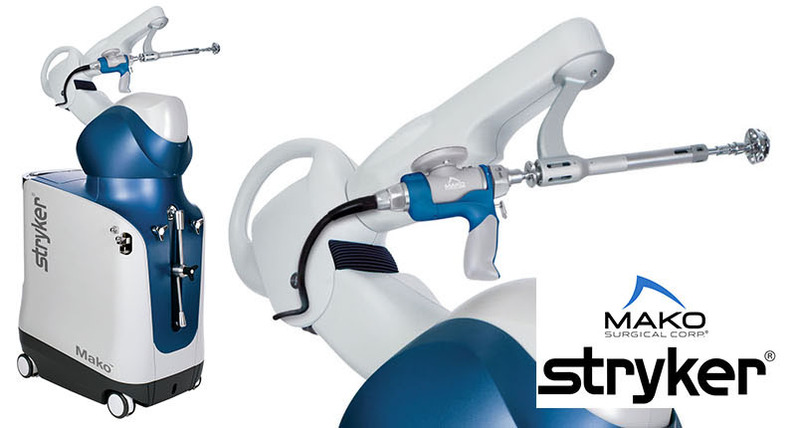 Mr Simon Bridle is one of the first orthopaedic surgeons in London to be able to offer his patients robotic assisted hip replacement surgery. Call 020 8947 9524 to find out more. I qualified and trained in London and was appointed as Consultant Orthopaedic Surgeon at St George’s in 1994. I specialise in hip and knee replacement, including routine and complex primary cases. I have an interest in managing patients with failed joint replacements and in particular infected hip and knee replacements. I just wanted to what to say what a marvellous surgeon Mr Bridle is. He reconstructed both my hips in 1998 /2000. I was 52 years old at that time and I am now 70 and have not stopped walking although I have slowed down this last 18 months and have to use two sticks. I can’t thank you enough.